The Gujarat Government is recommending and has issued a statement that is suggesting a ban on the world famous online multi-player game called PUBG (PlayerUnknown’s Battlegrounds). The circular was issued by the State Primary Educations Department when the Gujarat State Commission of Protection of Child Rights sent a recommendation. 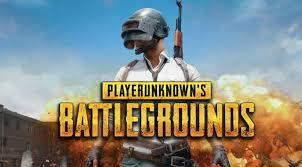 The letter is telling the District Primary Education Officers to take any necessary steps to enforce and do a complete ban on the multi-player game PUBG in all primary schools. The government said that they had to do it as the children who were mostly students are getting addicted to this game and is affecting their studies in a very adversely way. Jagruti Pandya the chairperson of the Gujarat Child Rights Body said that the NCPCR (National Commission for Protection of Child Rights) is recommending and promoting a ban on the said game throughout the country.